Choose a book any book but perhaps best not from this bookcase as you’ll not find any real books here. 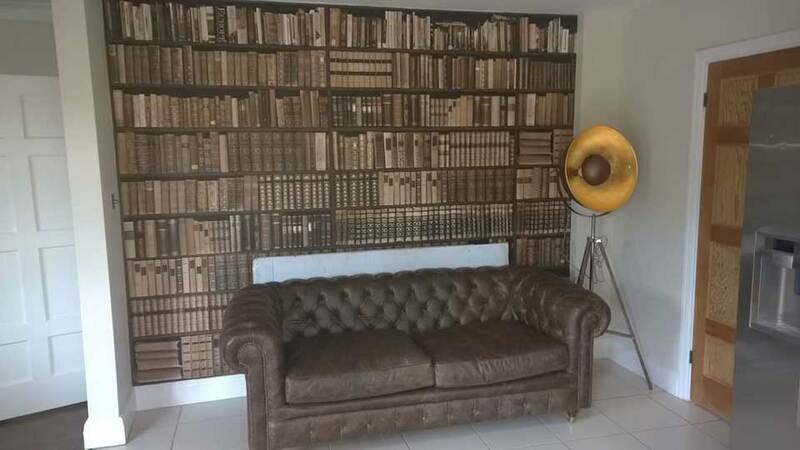 it’s a bookshelf themed wallpaper hanging. Looks great and doesn’t collect any dust.